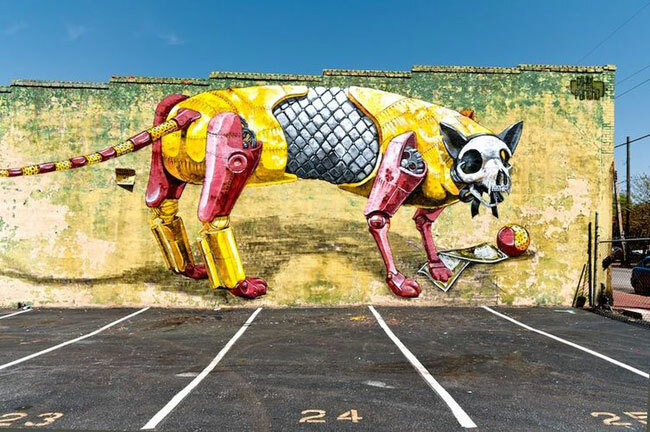 We will today look at Italian native Pixel Pancho street art who is currently in Poland to take part in the street art Doping festival held in Warsaw. 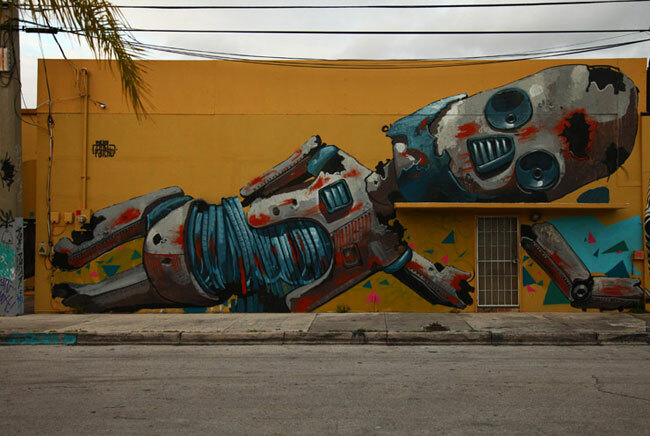 Pixel Pancho street art style stands out of the crowd and often includes robotic like characters. It was difficult to choose which pieces to show so anything Pixel Pancho sprays turns into wonders. We have included below a few examples of his works.